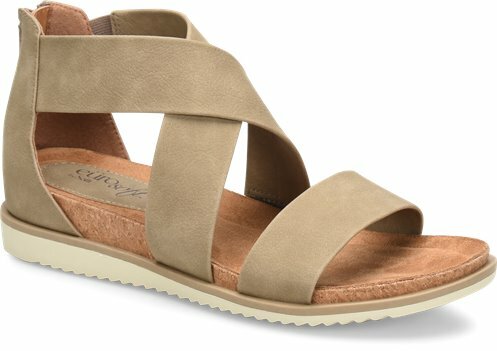 Our highly popular Landry sandal, now updated on a lower footbed wedge. Love these comfy sandals. Pretty soft gray color, sturdy back zipper. Will work with shorts, capris as well as maxi dresses.